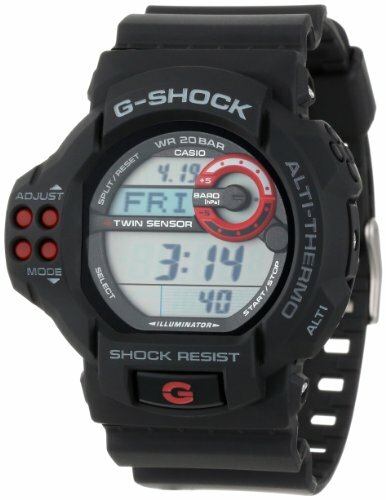 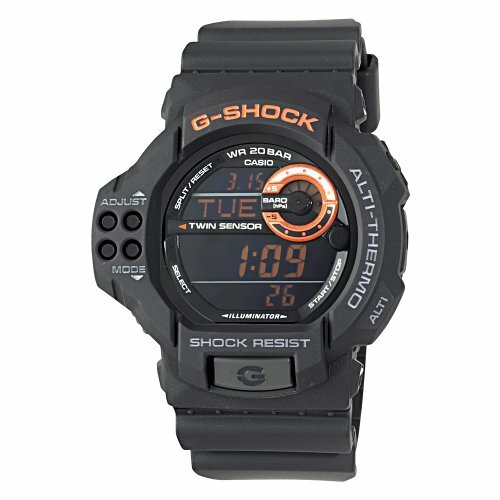 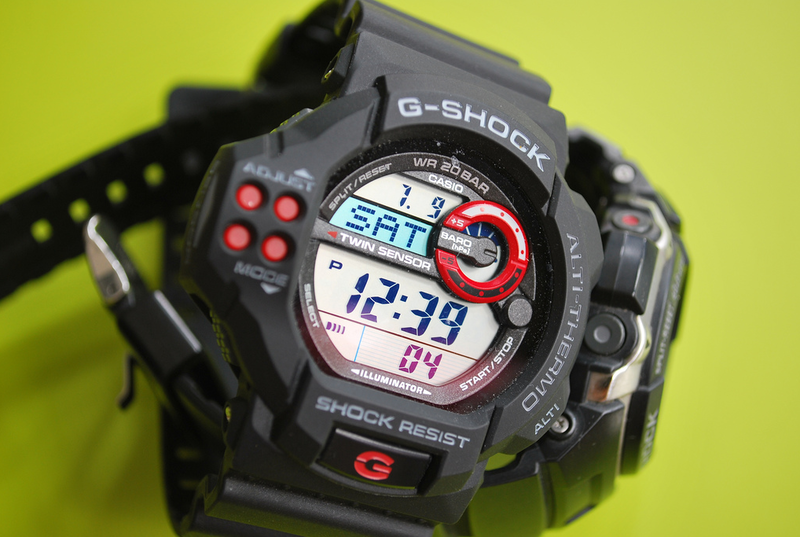 While it is one of the older models the G-Shock GDF-100 is a great pick for those who want quality and a reasonable price. 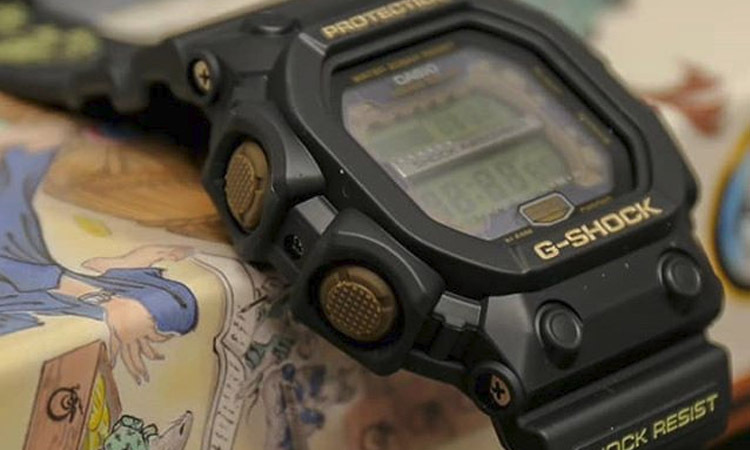 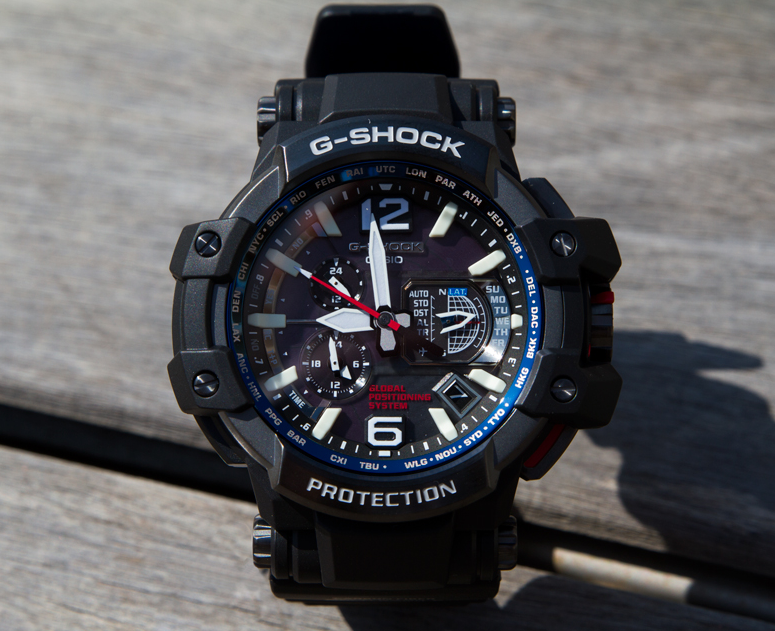 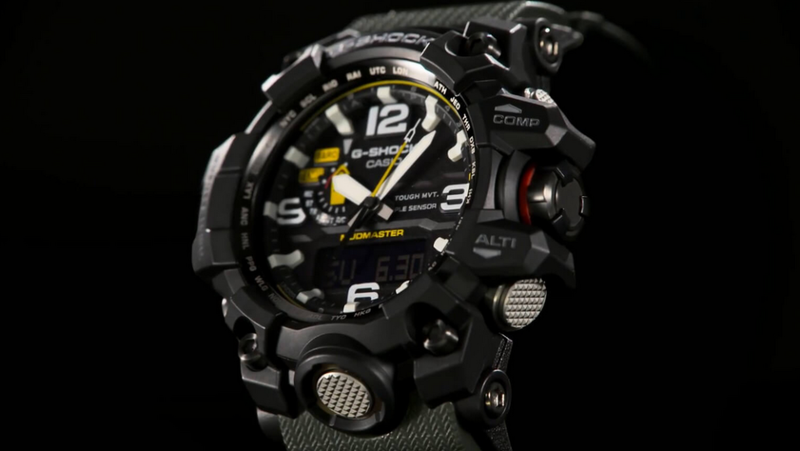 The Casio G-Shock GDF100-1A is an entry level model from the G-Shock series which is Casio’s well-appreciated line of tough watches made to stand all kinds of rough tests in the wild. 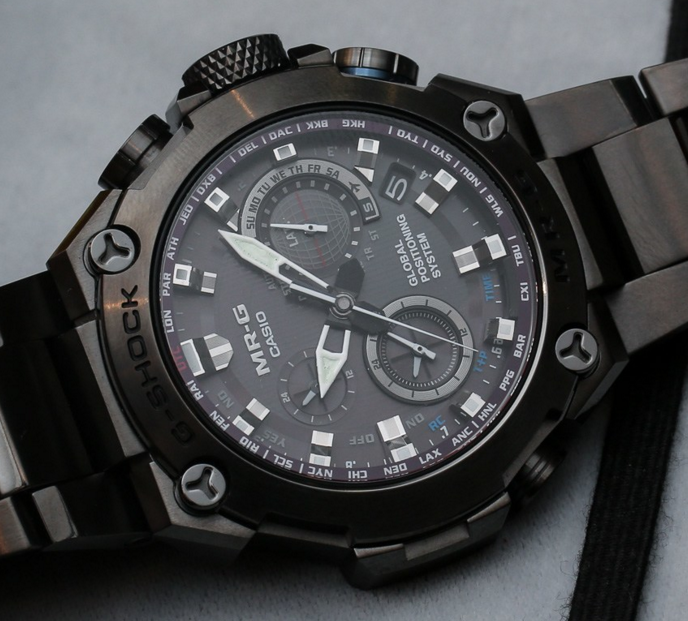 Being reasonably priced, this watch doesn’t really have an impressive list of features but nevertheless, it does bring some decent assets to the table and an interesting look as well. 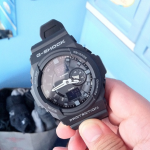 The design and built quality are what you’d expect from a G-Shock and the watch is rather large and bulky but despite that, I noticed it is also surprisingly light and comfortable. 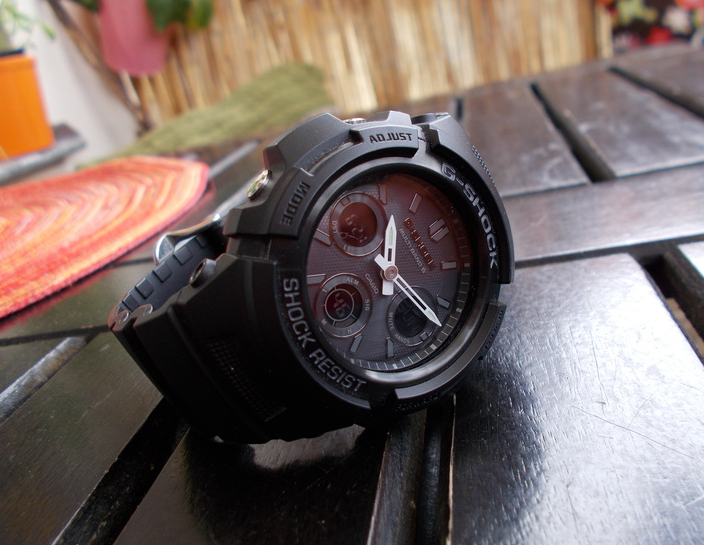 Speaking of comfort, the rubber-like band feels nice on the wrist, and the case also makes for a good fit. 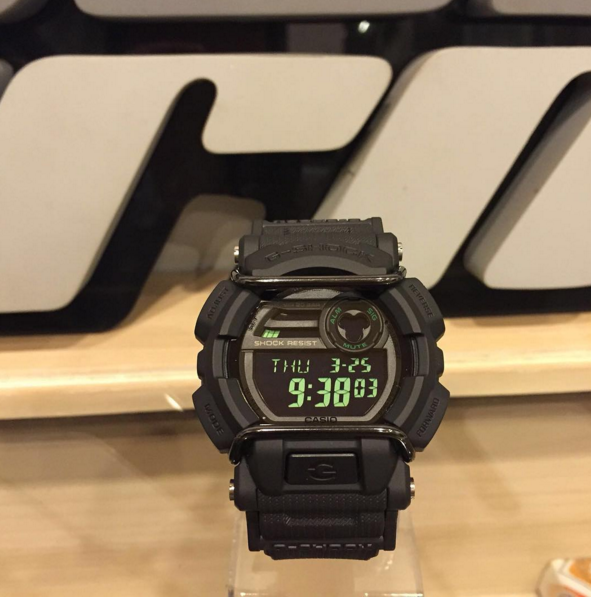 This could be subjective, for a skinny wrist it may seem to occupy all the available space. 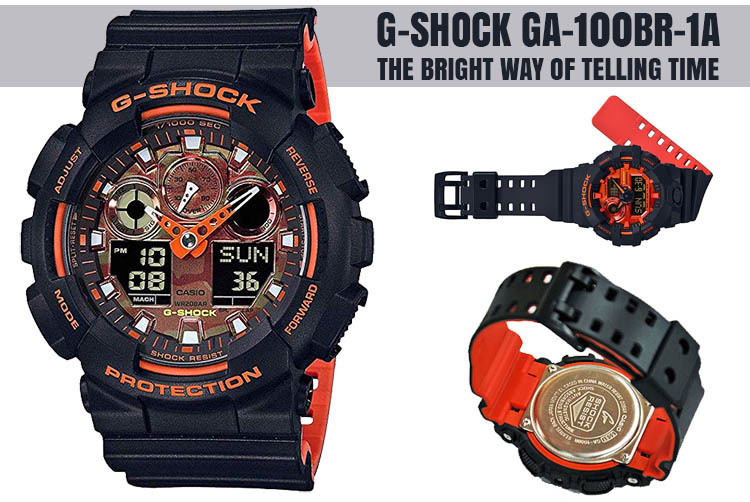 Overall the GDF100-1A does have an imposing design, the matte texture contrasting nicely with the red elements. 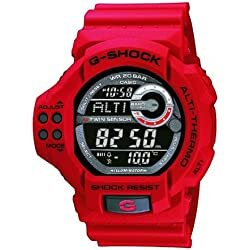 The mineral crystal window is resistant with the display showing easy to read digits and it is illuminated with a very crisp white light that covers the entire display. 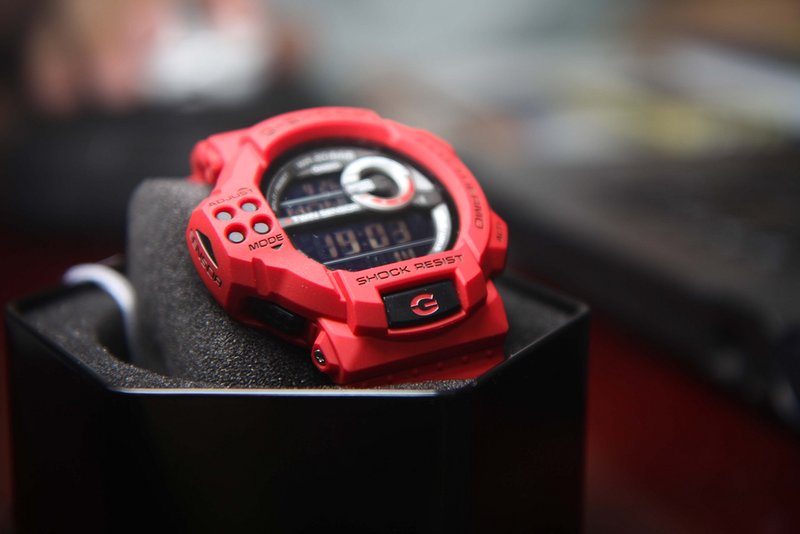 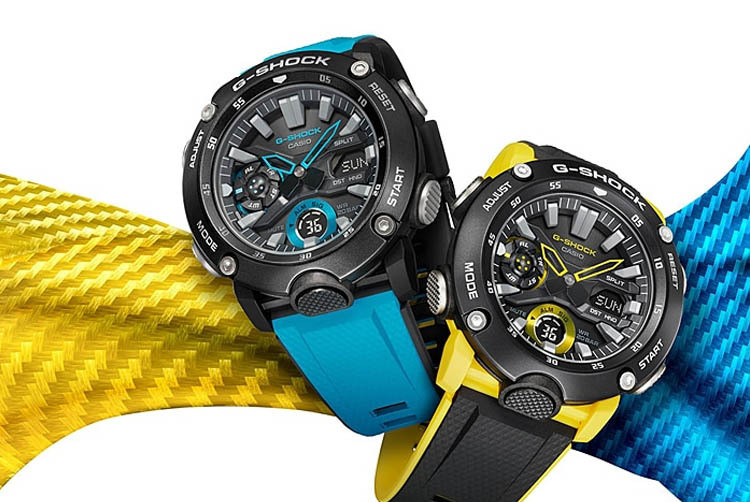 In terms of durability, this G-shock seems to be able to stand well against extreme conditions. 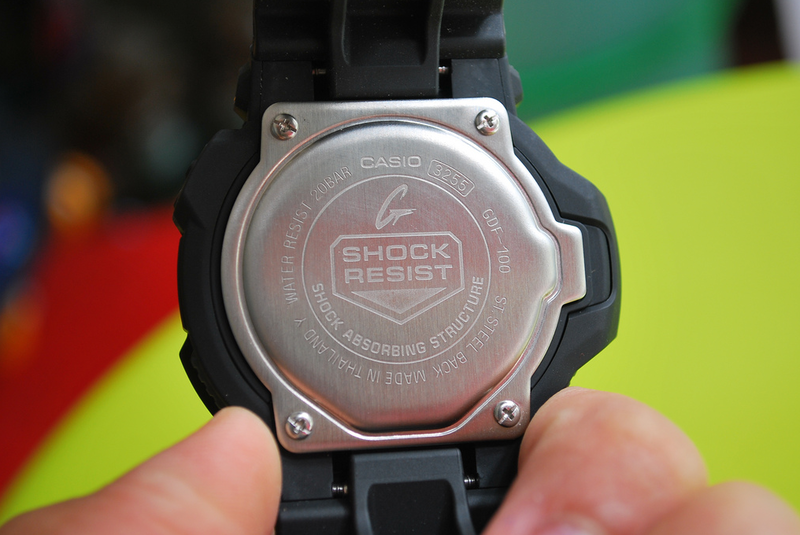 Resistance to shocks is obviously one of the many reasons people choose a watch from this series but it’s also suitable for water sports as it can withstand water pressure for up to 660 feet. 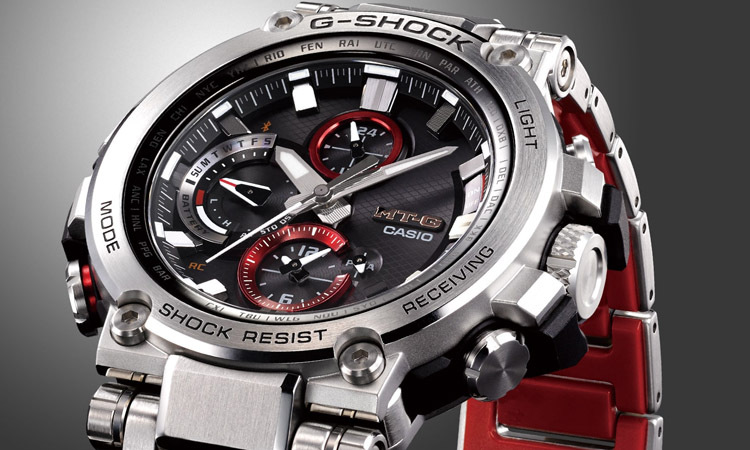 Having a look at the functionality of this model you can discover a few things. 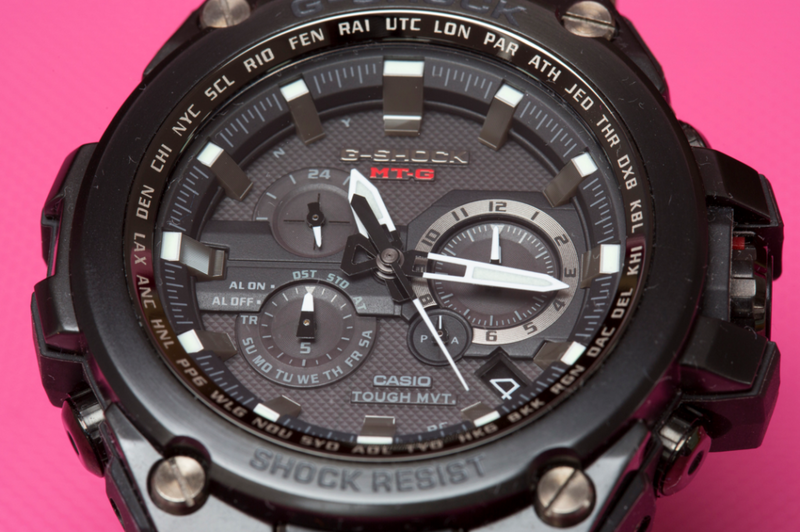 It has two sensors, barometer/altimeter, and thermometer, which appear to be growing from the resin bezel of the watch. 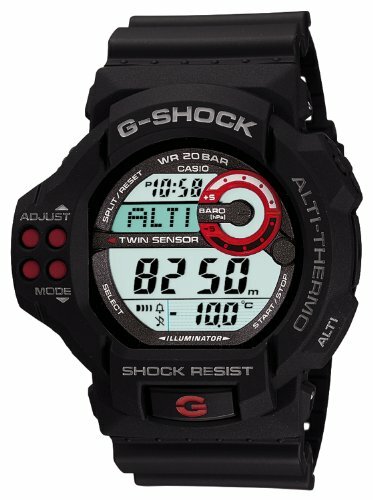 For those familiar with Casio systems you know what to expect in terms of accuracy. 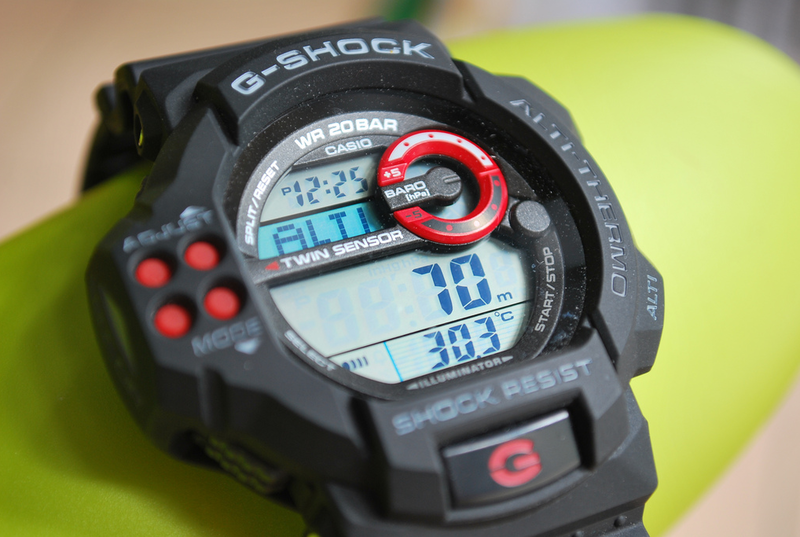 The GDF100-1A doesn’t offer spectacular precision but when properly calibrated it can give you at least estimative values proving useful when monitoring the weather patterns or measuring the temperature. 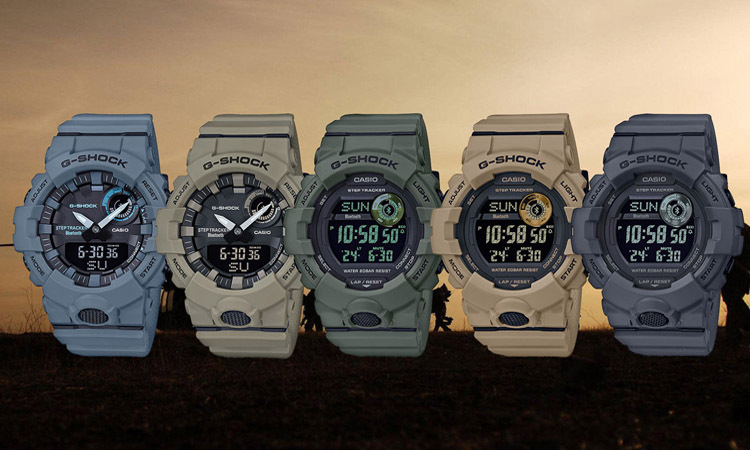 A world time mode with 31 time zones is present along with a stopwatch, timer, full auto calendar and five daily alarms. 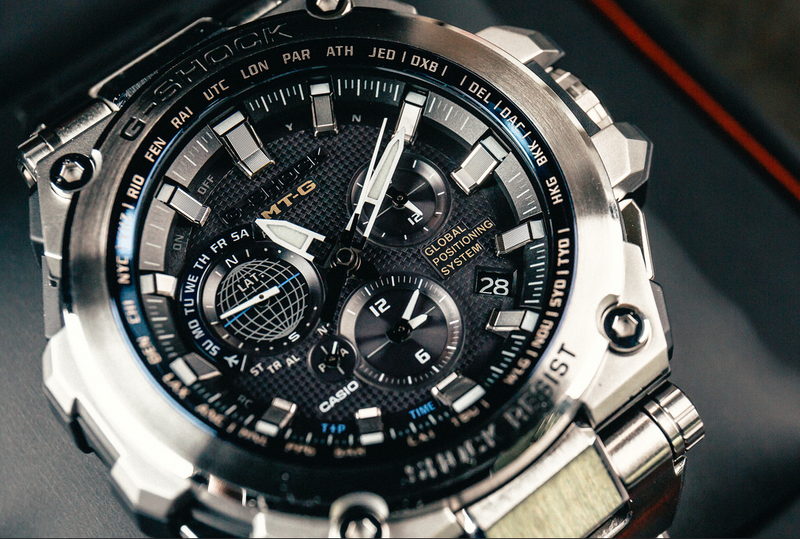 The basic functionality is thus pretty much fully covered. 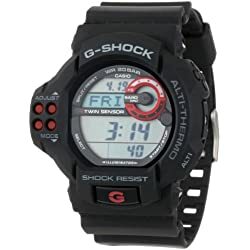 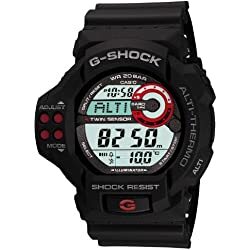 It may not be the most advanced G-Shock out there but when you take into consideration the price range to which this watch belongs I’d say it does more than a reasonable job. 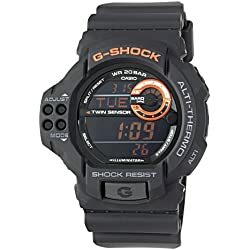 The looks and the size are probably not for everyone’s taste but it is the kind of watch that stands out in the crowd and some people may like it that way. 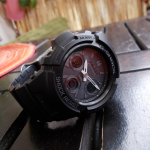 All in all, it has great value for your money with few drawbacks and lots of advantages.